Chubby Cheeks Body Art – Life is sweeter with face paint and kindness. Life is sweeter with face paint and kindness. Good Afternoon, I was wondering where exactly you guys are located. Also I wanted to know do you guys do non event face painting for 1 costumer. Hello, Ramion! Thank you so much for your interest in my professional face painting services. My service area spans the majority Savannah, Georgia with home base being in Richmond Hill. To answer, yes, I do offer private appointments. 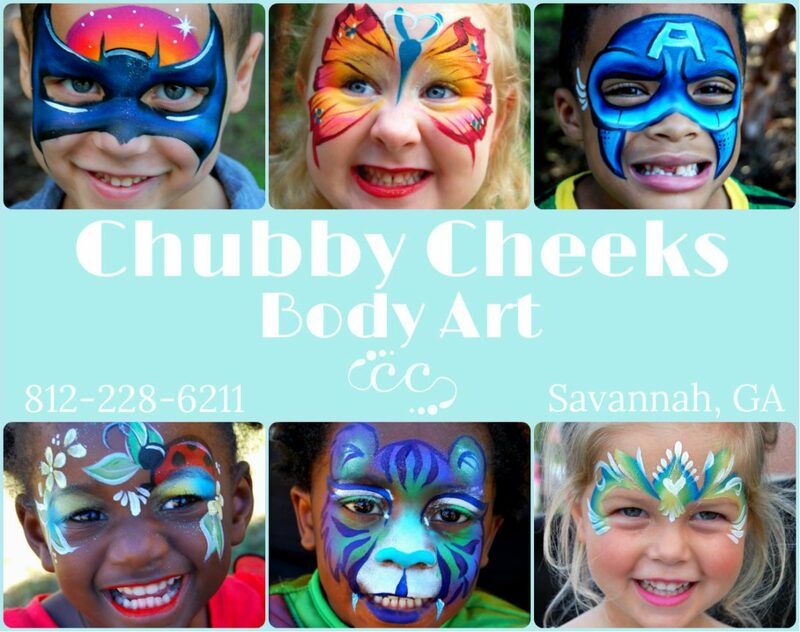 If you would like to send me an email at chubbycheeksart@gmail.com with the date and time you are looking to book my services as well as if you have a specific face paint look you are interested in I would be glad to check my availability and offer a quote.